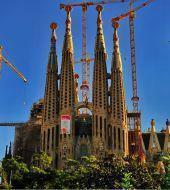 2 Sagrada Familia - Fast Track! For La Sagrada Familia you can select morning or afternoon tickets, an exact timeslot will be given after your reservation. Tickets will be sent within 24 hours. Please make sure you are on time!